SV Rotary and Friends of the Library New Logo Contest! 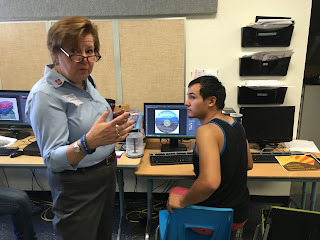 SVS yearbook students finished the year with 9 guests from two clubs in the valley: SV Rotary + SV Friends of the Library. The guests were there to judge logo designs for a pin for Rotary and a new logo for the Friends! Winners will receive cash stipends after club meetings where final decisions will be made. The Environmental Science class at Dayton High School completed a nine week unit on energy. Materials and lessons were provided by PROJECT RECHARGE. Peggy Merrell’s students learned about simple circuitry, they designed windmills and wind turbines, worked with solar cells and learned passive heating and cooling. After acquiring Dayton High School energy bills for a full year, the students calculated the annual energy cost for kilowatt hours. They came up with a number of proposals to save energy. 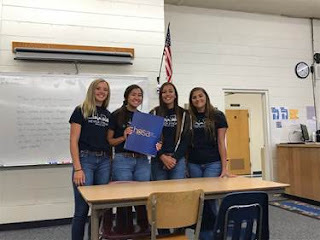 PROJECT RECHARGE recognition took place in Reno on May 23,2018. Of the 23 schools presenting, DHS received recognition for BEST DATA COLLECTION. In addition, they are one of three schools whose proposals were selected for application to the Governor’s Office of Energy for possible funding and implementation. 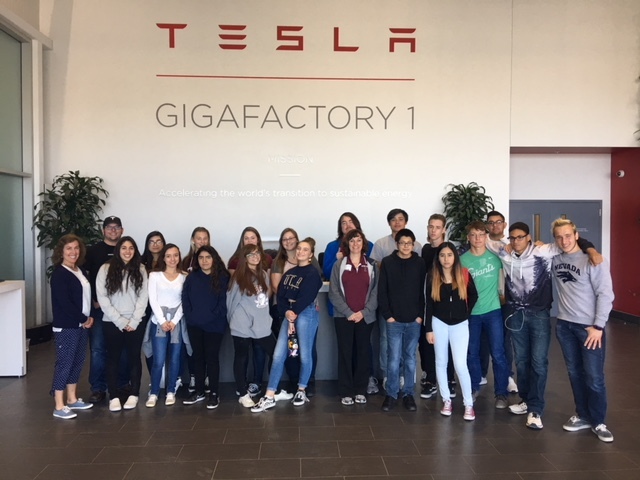 Dayton High School’s Environmental Science class taught by Mrs. Merrell toured the Tesla Gigafactory. After completing a unit on renewable energy students had a better understanding of issues facing society and could relate to Tesla’s goals. Not only did students learn from the tour but were also talked to about job opportunities of all levels. 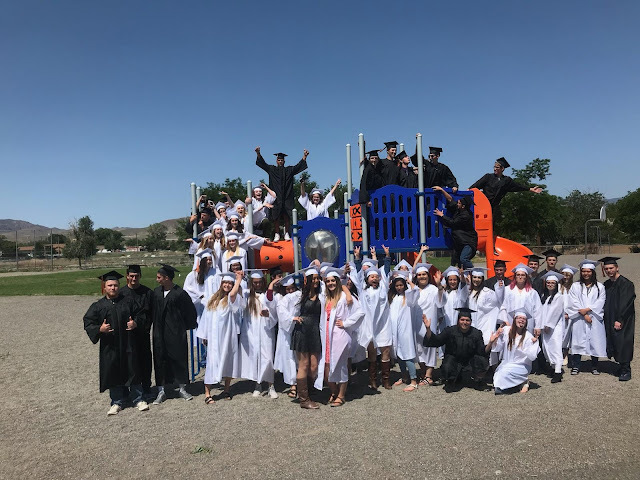 This school year Fernley High School has implemented a senior recognition program designed to encourage post-secondary plans for their seniors. When seniors have received a letter of acceptance to a college, trade school or military, the student’s name is displayed in the school’s main building to celebrate their plans. 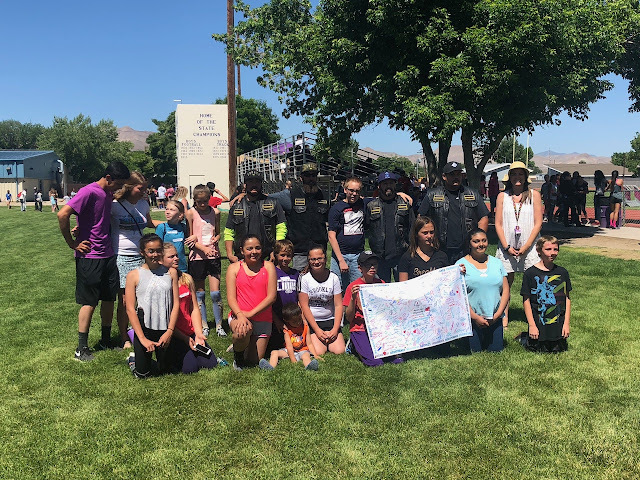 The last few weeks of school the names of the students who participated are added to a drawing for prizes (gift cards, shirts, lap tops) donated by the Fernley PTA, UNR, WNC, the Army, Navy, Nevada Army National Guard, FHS and local businesses. Good luck to all of our graduating seniors as they take on new endeavors! Smith valleys food science class final consisted of a burger cook off. The students were graded on food safety, proper handling, storing and cooking of food, lack of possible cross-contamination, appearance, taste and creativity. On May 25th and 26th, Dayton High School Theatre and Drama department presented their spring show, The Secret Garden. Students worked very hard to put this production together and it was a great success! 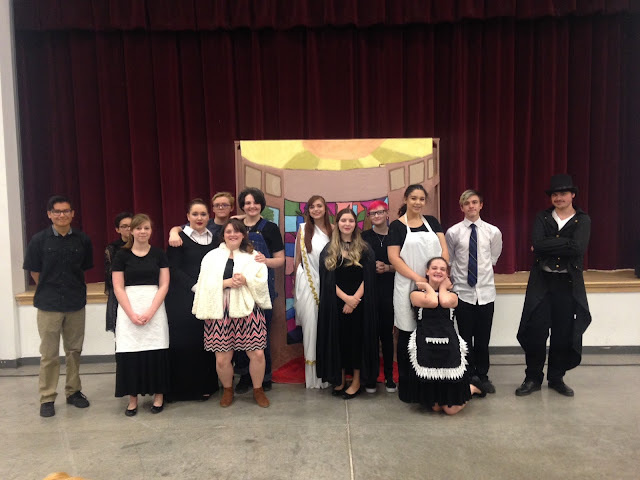 Thirty 5th to 8th grade students at Yerington Intermediate School, led by Directors DeeDee and Kasey Kersch, presented the play Aladdin in seven performances to over 1200 students and community members last week. The club was also showcased as the Yerington Theater for the Arts Community Dinner on Thursday night. This is the second production this year and with each production the number of actors and audience members increases. This ever growing club has become a great place for students to showcase their creativity and artistic abilities. 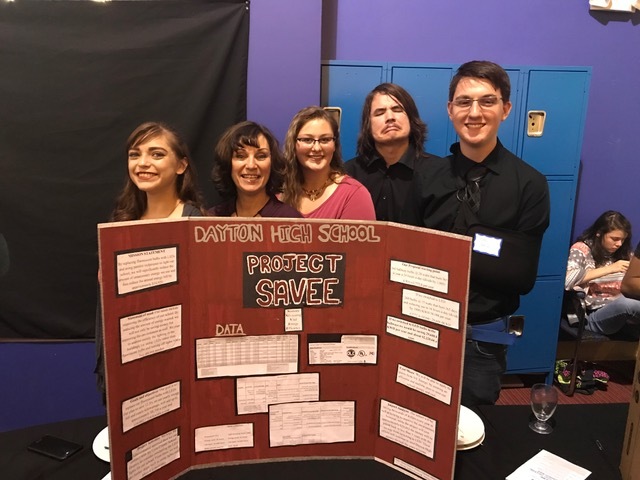 Friday, May 25, 2018 - Social Studies Teacher, Stephanie Fitch and her students hosted the 7th annual Dayton High Economic Summit. The primary goal of the day is that students have a chance to apply the concepts they have learned in their Economics class, such as supply and demand, global trade, opportunity costs and capitalism. The secondary goal is that kids practice the “adult” skills of long term project and time management, thinking on their feet and learning from their mistakes. The day long event is also made possible by alumni of the summit, students who participated in the experience in the previous year, to keep score, manage the bank and determine the winner of the summit.